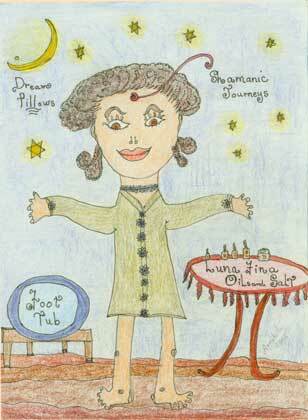 Annabella is the creator of Luna Fina. Luna Fina has been an integral part of Annabella since the day they both came upon this good earth to live. In Italian Fina means fine and Luna is moon. Together Luna Fina is a fine or waxing moon with plenty of room for growth. Luna Fina's lineage in four parts presents a composite history of several very important periods of time and events in Annabella's life. Luna Fina was with her from birth. She shone on Annabella at night. During the day while Luna Fina slept Annabella looked around for the Divine. She found it in flowers and leaves, in bushes and trees and in the grains of sand and salt that make up earth. Luna Fina never really went away. It was Annabella who drifted off. Her journey to refind her truth began with a very big giant step. Annabella went into the dark and stayed there for a while. Not unlike Alice she too went down deep into a rabbit hole. Slowly, slowly Annabella learned to trust. As Annabella grew big in Spirit she began to notice changes. She began to win at cards, no longer afraid of taking risks and trusting that her partners would help. 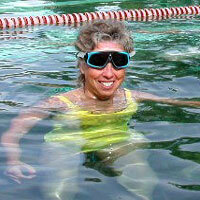 She went to learn to swim and began to conquer her lifelong fear of water. 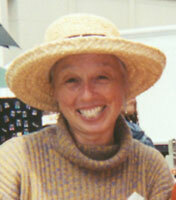 She developed a line of floral and medicinal oils and salts and gave her products the name of Luna Fina. Today Annabella welcomes visitors who come seeking sacred herbal foot baths and anointments. Each visitor is given the option of receiving a response to her/his most serious question as Annabella does her shamanic work. Together again Luna Fina and Annabella go forward hand in hand always ready to greet the setting and the rising sun.